I think it was fifteen years ago that I first tasted Rias Baixas Albariño and I am as taken with the wine today as I was fifteen years ago. Most folks are familiar with the Martin Codax Burgans, or the Paso Señorans bottling – both perennial favorites around our house. So how does one improve on such a simple little quaffer? Drop the price by a few bucks and amp up all the wonderful attributes of Albariño: beautiful, perfumed nose, refreshing palate with a crisp clean finish. Such is the Valiñas from Ramón Bilbao, a stunning little wine from the northwest of Spain that, after a healthy discount is just a hair over $10! If you are looking for the perfect summer wine, look no further! Lively, fresh nose with tropical fruit and floral hints – lovely, perfumed scent. Light-bodied with firm acidity – well balanced. Racy with citrus and tropical fruit notes and a touch of mineral and chalk. Short, clean finish – smooth, clean and refreshing. Not for aging, although with the screw cap, the wine should hold up well. Great value! Installment number three of our very popular Art of the Cocktail series. This edition builds on the classic definition of the cocktail: “a stimulating liquor composed of spirits of any kind, sugar, water, and bitters-it is vulgarly called a bittered sling and is supposed to be an excellent electioneering potion, inasmuch as it renders the heart stout and bold, at the same time that it fuddles the head. It is said, also to be of great use to a democratic candidate: because a person, having swallowed a glass of it, is ready to swallow any thing else.” In this class we will closely examine the effect of bitters on several potent libations. Heavy appetizers will be served to help temper the impact of the spirits. One of the biggest questions that I get at my wine classes is: How do you shop for wine? Wine shopping is really about relationship building. While you can spend a lot of time scurrying around town looking for the best wine at the best price, your time will be better spent cultivating a rapport at a few local wine shops. Getting to know the owners, or knowledgeable sales staff at a local wine shop, or more importantly getting them to know more about your own tastes and interests will ultimately lead to a more enriching shopping experience. At this event, hosted in the back room of Martignetti’s Fine Wine in Brighton, Wine Director George Bardis will help me lead the group through a selection of fun, high-value wines, including the usual artisanal cheese and bread, culminating in a guided shopping tour of the store. Several years ago we came across Gracie’s in Providence (http://graciesprovidence.com), a terrific foodie destination if there ever was one. We were staying at one of our favorite haunts, the Historic Jacob Hill Inn in Seekonk (http://www.inn-providence-ri.com) and we were looking for a special place to celebrate our Anniversary, so off to Gracie’s we went. It has been a wonderful love affair ever since – between us, with The Jacob Hill Inn and with Gracie’s! We recently returned to jointly celebrate a few birthdays and we were greeted with a wonderful table setting, sprinkled with tiny celebratory stars and toasted with a complimentary taste of the Poema Cava and an amuse bouche of puréed butternut squash, white raisins steeped in honey all dusted with candied pecans – a heavenly way to start the night. 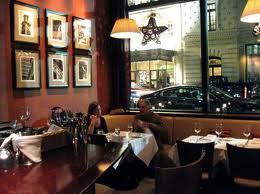 Gracie’s offers a traditional prix fixe menu, as well as a series of three-, five- and seven-course tasting menus. The tasting menus can be combined with wine pairings, if desired. We opted for the seven-course tasting menu, with wine pairings, a truly decadent gustatory pleasure. First off, we enjoyed the 2009 Pacific Rim Riesling from the Columbia Valley paired with an artichoke barigoule accompanied by house made lardo, sugar snap peas and French breakfast radish drizzled with a lemon sabayon. Surprisingly, the pairing worked well, despite artichokes being among the “difficult to pair” foods. The sabayon picked up the citrus in the wine and carried through the dish really well. Next up we enjoyed the 2010 Jonathan Edwards Estate Grown Cabernet Franc from Connecticut paired with handmade russet potato gnocchi with braised oxtail, foraged mushrooms, celeriac puree, and a three-year old provolone. The gnocchi were delightfully light foils to the rich intense sauce. Pairing-wise, the high acidity of the Cabernet Franc cut the richness of the dish nicely, but the wine was too light-bodied for the complexity of flavors. For the third course we enjoyed the 2009 Domaine de Fenouille Muscat Beaume de Venise paired with sautéed Hudson Valley foie gras and brioche, hazelnut butter, Muscat grapes and red currant jam. For me, this was the course of the evening! The foie gras was rich and creamy and the pairing with the Muscat BdV was sheer bliss. Fourth up, we enjoyed the 2010 Bichot Chablis paired with a brown butter seared Chatham cod loin with roasted baby carrot and turnips, puréed parsnip, pickled red pearl onion, black pepper cavatelli, marconi almonds and drizzled with parsley oil. The cod was moist and flaky and the mélange of accompaniments provided a pleasing contrast between the earthy root vegetables and the slightly tangy onion and black pepper. The pairing of the Chablis worked very well, cutting the buttery sauce, leaving the palate refreshed. A dollop of house made key lime sorbet offered further palate cleansing in preparation for the fifth course, braised pork belly with cider braised mustard greens, hon-shimeji mushrooms, caramelized cipollini onion, crispy onion rings, pork cracklings and smoked red tomato jam paired with the 2009 Kermit Lynch Côtes du Rhone. This course was a close second to the foie gras! The richness of the pork belly was balanced perfectly by the vinegary, slightly bitter mustard greens, a la North Carolina BBQ. The earthy mushrooms with the sweetness of the onions lent weight and an uplift to the finish. Pairing-wise, the CDR worked, but the vinegary mustard greens challenged the fresh, fruity palate of the wine somewhat unfavorably. The sixth course was a cheese plate of three domestic artisanal delights, paired with Ferreira White Port. Leading the way was a Vermont Bijou, a creamy “jewel-like” goat cheese that was served with a drizzle of apple butter. Next on the plate was another Vermont offering from Twig Farm, their raw goat’s milk Tomme, served with more of the smoked red tomato jam. The last cheese was very local; Great Hill Blue from Marion, MA served with another local product, Aquidneck honeycomb and candied pecans. The wine worked very well against the Bijou and the Tomme and as long as you left the honeycomb alone, the Blue worked as well. Unfortunately, the incredible sweetness of the honeycomb, while soothing against the blue cheese, rendered the wine into unpleasant acidity. The final course, dessert, was a lovely jasmine pound cake, drizzled with honey meringue, coconut-ginger-blood orange soup and black tea ice cream paired with the 2008 Terre Rouge Muscat-à-Petits Grains from the Shenandoah Valley in California. Light and delicate, this final course was the perfect way to finish such a gustatory masterpiece. To us, a meal is not perfect unless the service matches the food and at Gracie’s, the wait staff is up to the challenge. Lydia and John, our primary servers took supremely wonderful care to make this evening ideal. Their blend of friendly, courteous and attentive service made us feel welcome and at home for the nearly three hour sojourn. I can guarantee that if you enjoy food and wine – not just eating, but really delving into the tiny details and subtle nuance resulting from the time consuming process that is fine cuisine, you will be smitten by Gracie’s. The key is: opt for one of the tasting menus, with wine and do not rush! Argentina is considered the most important Latin American wine producing country, with the largest amount of land under vine (209,000 Hectares, or 504,000 Acres) and the largest per capita consumption rate for wine (40.99 Liters, or 10.8 Gallons). Annual wine production had been as high as 27 Million Hectoliters or 713 Million Gallons in 1973, but has since fallen to 12.5 Million Hectoliters or 331 Million Gallons in 2000, ranking Argentina as the 5th most productive wine region in the world. Argentina has a wide range of climates, mostly temperate due to the broad extent and varying elevations of the vineyards. Water is plentiful, land is cheap and there is a potential market of 35 Million residents who are of European heritage with an in-grained culture of wine drinking. So, why isn’t Argentina’s wine industry stronger? Simply put a lack of economic stability. With rampant inflation, the devaluation of the Peso and the recent change (1991) to an open market government, the wine industry has largely focused on producing large volumes of mediocre table wines. This is slowly changing, which is evident from the increase in foreign investment and the increased availability of finer, Argentine wines. 1536 – Buenos Aires is founded by Pedro de Mendoza, but native Indians drive the Spaniards out. 1553 – Santiago is founded by Spanish settlers arriving from Peru and Bolivia and the settlement begins to thrive. 1561 – Mendoza is founded by Spanish settlers arriving from Chile. In each case, missionaries accompanied the settlers, bringing God and the vine to Argentina. These initial plantings were likely the Criolla grape, which made only mediocre sacramental wines. Over time, plantings grew to include the more familiar European varieties. Ever-growing immigrant population accustomed to drinking wine (Europeans). Domingo Faustino Sarmiento, Argentine President (1868-74), responsible to establishing wine schools throughout Argentina, including noted French and Italian wine experts. The Pacifíco Railway (1885) that connected Mendoza with Buenos Aires, which opened the country to trade. The wine industry continued to grow throughout the 20th Century, peaking in 1976, largely due to exportation of cheap wine to Chile. It was at this time that Argentina was recognized as a country with “great wine-making potential” in the press. This led to Argentine wine makers actively and aggressively pursuing the export markets of Britain and America. The strategy met with success and exports shifted from cheaper, table wines intended for Chile, to finer wines destined for Europe and America. Production ramped-up to meet demand and it appeared as if Argentina was transforming into a true fine wine producer. However, all of this success was destroyed by the invasion of the Falkland Islands in 1982. Overnight, the lucrative export markets outside of Latin America were gone and the wine being produced was too expensive for the cheap, Chilean market, which resulted in vast overproduction that led the industry to crash. Upon cessation of hostilities Argentina set about rebuilding their wine industry. Over the following ten years the wine industry began to revive, fueled in large part to the regime change in Buenos Aires (1991). In the last ten years, the availability of hard currency, more foreign investment and the re-establishment of an export market for fine wines have allowed Argentina to build a strong, fine wine industry with even greater growth potential in the future. The INV has also established an appellation system, like those of Europe, called the Denominación de Origen Controlada of DOC. The first appearance of the DOC on an Argentine wine label was 1992 (San Rafael). There are two regions officially recognized as DOC regions: San Raphael and Luján de Cuyo. Most old time producers do not believe in the DOC system, largely due to years of governmental distrust. More modern producers do not believe in the DOC system because they do not want to be “handcuffed” to antiquated rules like their European counterparts. The fact that the DOC is largely overlooked by the wine makers means that most labels are without any kind of DOC specified and the likelihood of more classifications is doubtful. Despite the lack of a generally-accepted DOC system, there are many regions that are noted for fine wine production. 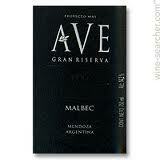 Today, the craze is all about Malbec from Argentina – below are two from the same winery, AVE that I found noteworthy. Dark fruit nose with black cherry, menthol, briarwood and cedar hints. Full-bodied with moderate acidity and firm, well-integrated tannin – good balance. Black fruit core with herbaceous and cherry notes. Moderate length, smooth with dried fruit and vanilla on the aftertaste. Drinking well now and should hold for another 2 to 3 years in bottle. Good value! Intense, rich nose with black cherry, anise menthol and cedar hints. Full-bodied with moderate acidity and firm, dry tannin – well balanced. Black cherry on the palate with vanilla, cedar and tar notes. Long finish, smooth with a nice allspice and dried fruit aftertaste. Drinking well and should benefit from another 5 to 7 years in the bottle. Spain is one of my favorite wine producing countries – great diversity of style and flavor, very high quality standards and fantastic values abound! For the last 20 years I have sung the song of praise for Spain and many of my friends have appreciated that. I recently picked-up two wonderful little wines from arguably the most well-known region in Spain – Rioja. Located in the Ebro valley in northern Spain, the region is divided into three sub-regions: Rioja Alta, Rioja Baja and Rioja Alavesa, each with its own terrior that lends diversity of character to the blend. 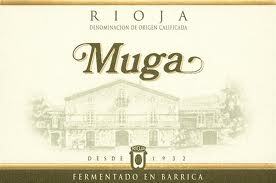 Rioja is one of the oldest wine making regions in Spain, officially recognized by the King of Navarre in 1102 AD. The region is known primarily for its red wines, which make up approximately 85% of production and are largely produced from the Tempranillo grape. Other red grapes can be found in the blend, such as Graciano and Mazuelo. Rosado wines are also produced, as well as whites, the latter being a product of the Viura grape, known elsewhere in Spain as Macabeo. The style of classic, or traditional Rioja is very distinctive, often times possessing a rustic, yet elegant flavor profile, tinged with vanilla and cedar notes. The vanilla and cedar notes come from the American oak cooperage winemakers use in the aging process of the wine. The second wine is a Rioja Crianza from Rio Madre with the distinction of being made from 100% Graciano grapes. The wine is powerful with great structure and wonderful complexity. 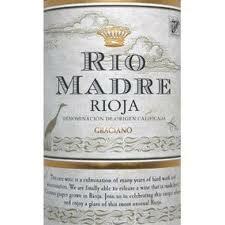 Rio Madre is a relatively young winery located in the Rioja Baja and growing Graciano on 60+ year-old vines. Jorge Ordonez, the world renowned wine maker is a consultant to the operation, which could account for the unbelievable intensity of the wine. Lively, creamy nose with vanilla, apple and tropical hints – very pretty. Medium-bodied with firm acidity – refreshing and crisp – good balance. Tart apple and lemon palate with oak and caramel notes. Moderate length – smooth with a pretty honeyed aftertaste. Drinking well – not for aging. Great value! Earthy nose with deep plum, lavender and briarwood hints. Full-bodied with firm acidity and firm, dry tannin – good balance. Dense, chewy palate with blackberry jam and stewed fruit notes – Wow! Long finish with a smooth but tight aftertaste. Some spice, cedar and vanilla – very nice. Drinking well and should benefit from another 5 to 7 years in the bottle. Great value!